Environmentalism is a topic that has been fairly mainstream in world media for the past two decades. With technology progressing at an amazing rate, there’s no telling how far we might go in the next hundred years, and with that said, it’s important that we don’t turn a blind eye to the welfare of our planet. Now trust me when I say this isn’t one of those “go green” articles. I like helping the environment as much as anyone, but I also understand that you don’t have to change your entire lifestyle to make a difference. Have you noticed that kids seem to be growing up so darn fast these days? I really think childhood development goes hand in hand with technology because every time a new iPhone comes out I see younger and younger kids walking around with them. If the iPhone 5 is for ages 12 and up, the new iPhone 6 is for ages 8 and up! All joking aside, kids are learning about the world a lot quicker these days because the information is accessible, and that’s why we need to guide their young, open minds properly before they get clouded and confused by all the opinions of the World Wide Web. So how can science fiction help steer young readers in the right direction? If there’s one topic that presents itself more often in sci-fi than high fantasy or any other genre of fiction, it’s the preservation of planetary environments. This is mostly because sci-fi, in general, deals with futuristic civilizations with advanced technologies. As is apparent in today’s world, the advancement of human civilization is directly related to the arrival of new environmental concerns- stone-age people wouldn’t have a clue! Whether the work of science fiction portrays environmental concerns as something that was resolved (e.g., check out our new emission-free energy production devices!) or that leads directly to the apocalypse, it’s a good opportunity to introduce environmental topics to younger readers. Now when I say this, I don’t mean that we have to push “save the world” on their young minds and brainwash them into buying electric cars at eighteen. Some may develop that mindset naturally, which is a perfectly acceptable outcome, but the goal of these topics and subtle lessons is to make them all a little more conscious about their decisions. In my latest science fiction series, The Adventures of Nick and O-Zone, the main characters deal with an alien civilization that has a blatant disregard for preserving planetary resources. Although that civilization is purely fictional, it isn’t far off from some of the energy corporations in our world that have the same disregard for planetary preservation. If we subtlety introduce environmental topics to kids through fun works of fiction, we’ll slowly start to change the consciousness of our world for greater awareness in the future. In elementary school, Joanna Cole’s The Magic School Bus series taught me that recycling helps reduce waste. To this day, I still take the time to sort my cans and cardboard- don’t be lazy people! 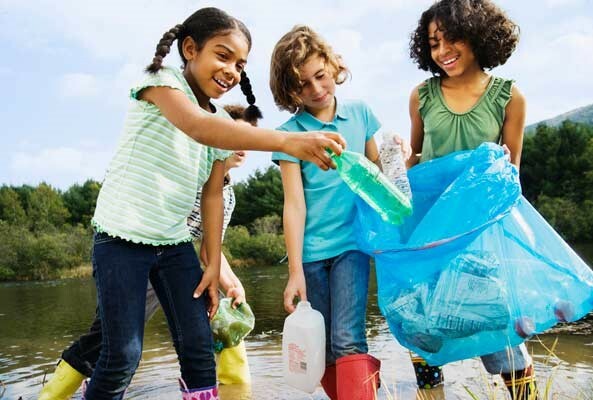 That’s my way of helping the environment, and kids will also know what’s right for them when the time comes. But don’t expect me to go out and buy an electric car- they just aren’t as fun without internal. Thanks for sharing your experience. It’s so interesting. I truly believe that new technology must first exist as an idea in the imagination, and these ideas often take birth in science fictions.